Global Spy is global investigator platform for cryptocurrency investors. The only payment method that Global Spy will accept on the platform is SPY-token. Global Spy provides investors with professional research on any business, cryptocurrency or asset they would like all over the world. All Global Spy payments are handled via Smart Contracts. 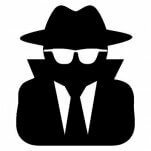 Global Spy will also seek to provide clients with an avenue where they can earn from the professional research they commission. Global Spy will provide browser extension, that verifes the site against their ICO verifcation program database. With Global Spy SPY Token, users may order information regarding companies, team members, their token, the business history of team members, etc. Users may use Global Spy Quick Service to obtain information through the automated search engine. Conceptualization of the idea after realizing that there is untapped demand in the market. It was decided that we will study crypto markets and possibilities crypto could give us. Search for correct partners and databases with knowledge of the crypto world. Crypto business is so global that it was a key element for Global Spy to find correct investigation tools and databases from all the relevant countries. In preparations for changing legislation regarding ICOs in the United States, we have already hired a great investigator for US-based ICOs. If the ICO market opens for general US public, it would mean a new rush of promising ICOs. Preparation for the use of the blockchain technology in our future. Preparation of the smart contracts and preparation for the token sale. This involved sensitizing the cryptocurrency community by running an ANN campaign to announce the token through the website and selected cryptocurrency blogs. Preparation for the Initial coin offer. We developed an ICO webpage specifically for the token sale. Additionally, the web content developed in the 4 th quarter of 2017 was completed in this quarter. The Initial coin offer is officially launched. The willing investors purchase coins, and they receive Spy tokens to ERC20 compatible wallets. Listing to at least one of major exchanges. 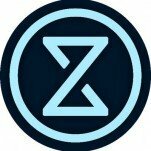 10 % ICO profits to be used for marketing during 2018. Global Spy will buy a position on one of the major exchanges as soon as the tokens have been sent to investors after initial coin offer. The launch of the beta version of the Global Spy platform. 5.000.000 SPY-tokens shared with all holders since ICO.